If you have eaten American burgers, how about trying a Chinese burger? 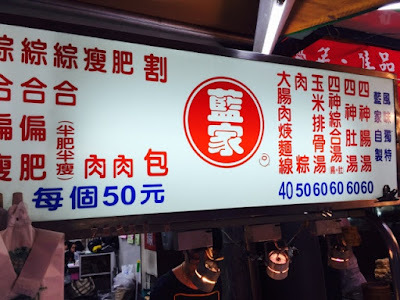 Behind the streets of Gong Guan, just opposite of the popular Bubble Milk (陳三鼎黑糖粉圓鮮奶專賣店), you will find a long line, queuing for Chinese Burger (藍家割包). 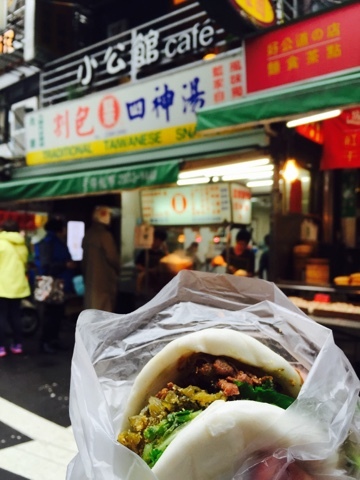 The food stall served soft fluffy steamed buns stuffed with braised pork shreds, pickled vegetables and lettuce leaves. This fist-like burger was delicious. It tasted sweet, sour and salty at the same time. The steamed burger was served hot and tasted sweet. When lightly pressed, the burger would spring back in shape. Whilst standing in line, one of the staff will take your order and inform another to prepare the ingredients for Chinese Burger. 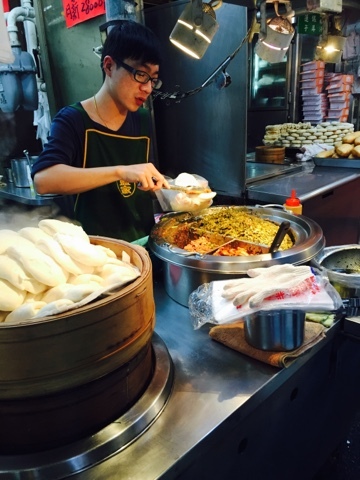 The staff took a piece of steamed bun from the hot steaming bamboo basket and added the stuffing. From the menu, you could choose either lean pork or fatty pork. The preparation took minutes but still, the queue remained long. The braised pork shreds had a heavy taste and the pickled lettuce elevated the dense aftertaste, balancing the two. As for the fresh green lettuce, it served as a layer to prevent seepage.